Stem cell research: The biological therapy offered by stem cells is likely to revolutionise the entire health care delivery. Is Malta in time to catch up with this evolution? The regenerative capability of a living creature was recorded as early as 330 BC when Aristotle observed that a lizard could grow back the lost tip of its tail. Since then there have been slow but steady developments in understanding the regenerative capabilities of human beings. In the last decade, there has been an information explosion in the area of stem cell research. The biological therapy offered by stem cells is likely to revolutionise the entire health care delivery. Is Malta in time to catch up with this evolution? Human stem cells have raised hopes in the eyes of healthcare professionals and patients seeking repair of injuries to a variety of organs damaged by serious illnesses which are often considered incurable or irreversible. Stem cells are special cells that could develop into blood, brain, bones and other body organs with the potential to repair, restore, replace or regenerate damaged cells. The hope is that such regenerative therapy would reduce associated morbidity and mortality rates. The clinical therapeutic benefit is evident in the use of blood stem cells to treat diseases of the blood, a therapy that has saved the lives of thousands of patients with leukaemia. Stem cells are also used for tissue grafts to treat diseases or injury to the bone, skin and surface of the eye. The potential of clinical applications for stem cells to treat everything from arthritis to Alzheimer’s disease has emerged but very few stem cell treatments have been proven safe and effective by regulatory authorities. All medical treatments have benefits and risks. The process by which science be­comes medicine is designed to minimise harm and maximise effectiveness. There is a multi-step process involved in responsibly translating science into safe and effective medical treatments. During this process, scientists may discover that an approach that seemed promi­sing in the laboratory does not work in animals or that an approach that worked in animals does not work in humans. It may be discovered that a treatment effectively addresses symptoms of a disease or injury in humans but carries unacceptable risks. In 2017, the European Medicines Agency approved the first stem cell therapy made out of the patient’s own stem cells. It is used to treat one of the complications of Crohn’s Disease. 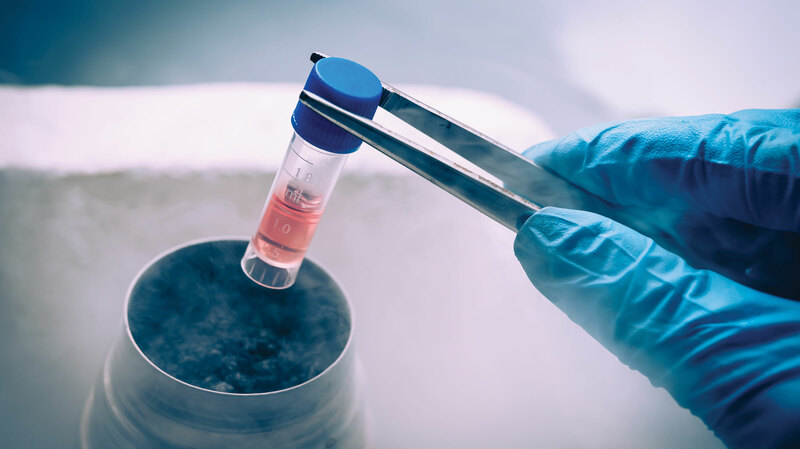 Before a stem cell therapy is approved, the agency considers the possible risks of tumour development and rejection of the stem cells, together with the benefit to the patient. The Malta Medicines Authority has in recent years built up an excellent reputation in the regulatory sciences. The first task undertaken by the authority since 2013 has been to ensure its sustainability while at the same time retaining its prime task of safeguarding the quality, safety and efficacy of medicines for patients in the European framework. The authority moved on to ensure accessibility to medi­cines by establishing the Medicines Intelligence and Access Unit. The time has come for our outstanding professionals in the authority to take on innovative tasks involving new and advanced therapies. These are being spearheaded by the Directorate for Advanced Scientific Initiatives, which is supporting the promotion of science as in the case of the regulation of cannabis for medicinal use. The key to success is linked invariably to research and education. The medicines authority is a pioneer in encouraging its team to further their studies and research to master and doctorate levels. Professionals are performing groundbreaking re­search, such as in the dissertation ‘Therapeutic and Economic Implications of Re­gulating Stem Cell Therapy and Blood Components’. This augurs well for the authority to take up the Prime Minister’s appeal to the nation not to rely on present successes but to move forward towards innovative and challenging endeavours, such as was done in the case of blockchain and the introduction of cannabis for medicinal use. Innovative initiatives need to be picked up in the early stages to lay a strong foundation for success to be endowed to the next generation, that is, for our children and grandchildren. These investments, which will bear fruit in the future, can only be carried out because in the last five years the government has set a strong economic and intellectual basis. The authority is a prime example of an entity that has responded to the Prime Minister’s impetus and is moving towards becoming a sustainable and successful entity, especially through substantial investment in its team of highly committed and motivated professionals. 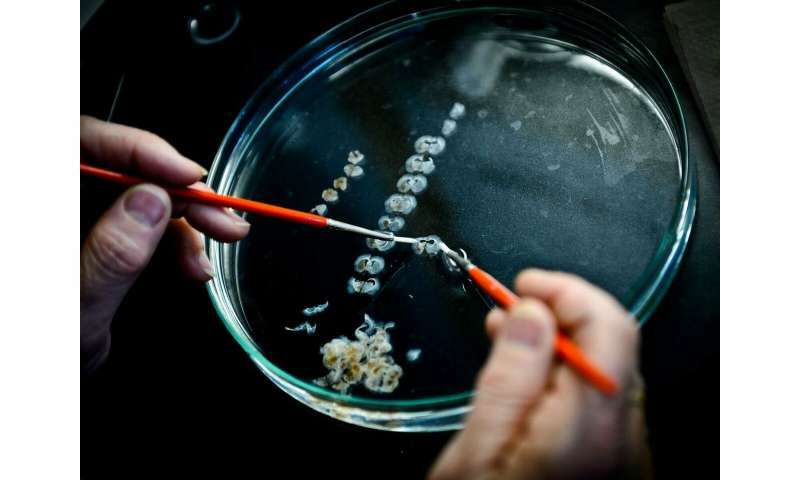 The assignment of the stem cell initiative to the Malta Medicines Authority, by the Secretariat for Consumer Rights, Public Cleansing and Support for the Capital City, was a move in the right direction, signalling a long but virtuous path towards innovation in advanced therapies, which is tomorrow’s science of medicine. Scientific innovation in stem cells cannot be conceived without advanced regulatory science structures and education. This is something I have explained to the leaders of our tertiary education systems and it is good to see that there are already recommendations to the Senate of the University of Malta to move diligently but expediently in the field of the regulatory sciences. Stem cell therapy is no longer science fiction. It is a challenge for the present and the future. Challenges present risks. The key to risk reduction in introducing stem cell therapy is the application of robust regulatory sciences. This is what I am continuously encoura­ging the Malta Medicines Authority to execute, and I am fully confident that success will be achieved in this area. There are several barriers that still need to be overcome before this novel therapy can be translated from the laboratory to the clinic. But stem cell therapy has brought in optimistic hope among researchers, doctors and patients who are the chief beneficiaries of this innovation. treatment today is based on enhancing the activity of the nigro-striatal pathway in the brain with dopamine-modulating therapies, thereby increasing striatal dopamine levels and improving motor impairment associated with the disease. However, this treatment has significant long-term limitations and side effects. Stem cell technologies show promise for treating PD and may play an increasing role in alleviating at least the motor symptoms, if not others, in the decades to come. Researchers have made a new discovery about cancer cell metastasis that could completely change treatment approaches in the battle against cancer. Professor Michael Lisanti from the University of Salford and colleagues have identified a rare rogue stem cell they are calling the “cell of origin” that could trigger the spread of cancer (metastasis). As reported in the journal Frontiers in Oncology, after growing cell lines derived from breast tumors, the team found that the most dynamic of the cells were particularly energetic. Interestingly, those cells also displayed signs of senescence, the process that causes ageing cells to “freeze” and stop proliferating. However, the energetic cells appeared to have “broken out” of this process and lost their senescence, says Lisanti. The researchers say there is a growing body of evidence suggesting that metastasis is caused by cancer stem cells that are fuelled by mitochondria. The team believes these “mother” cancer cells could use antioxidants and energy from mitochondria to redirect their fate. However, most chemotherapy drugs are designed to target “bulk” cancer cells rather than these “root” stem cells; new therapies that specifically target these “tumor-initiating cells” are therefore needed to prevent the growth and spread of cancer. The team adds that if they focus on energetic stem cells, they may be able to home in on the target directly and by doing so, revolutionize treatment and turn cancer into a manageable disease like diabetes. Low cost Stem cell treatment in India can be called as a collection of techniques that are intended to replace the damaged cells due to any ailment and fail to function the right ways. Despite the fact that the techniques are generally new when contrasted with the customary strategies, their applications are known to offer an extensive variety of advantages that offer an extensive variety of surprising outcomes. This is the reason it is known as a wonder in numerous ways. The stem cells are regularly removed from the bone marrow or the human umbilical line. These are likewise called as the essential or basic cells found in our body and in this way can possibly be formed into various sorts of tissue cells found in our body. These can have the correct ability to reestablish and multiply themselves in an indefinite manner and subsequently develop the muscle cells, platelets, and nerve cells. In this kind of treatment, these are gotten from the human body and accordingly held under various conditions wherein they will, in general, be developed in any kind of cells, which are expected to recuperate from the affliction. Stem cells treatment in Delhi, India has the astounding ability to change into any tissue or organ in your body. It is a result of this stand-out trademark that they can treat in excess of 80 risky infirmities, and give different favorable circumstances to the infant, its kin and the family. The stem cell treatment, India, not all are viewed as the contender for the medical procedure. All things considered, the truth the general population who are suffering from various ailments, it very well may be effectively settled with this methodology, which is likewise called the diverse strategy. This system is considered to have a few dangers and the inconveniences involved are additionally considered to check the equivalent. The Stem Cell treatment in India is frequently prescribed to the general population who have attempted the various types of treatment alternatives and can’t find positive outcomes. Outstanding among other contenders for Stem cell Treatment cost in India is the general population who are known to have a decent well being and are known to have stem cells accessible from a sibling or any relative. Along these lines, stem cell treatment in India can be called as the best choice to strive for the worldwide patients as it can help in fixing an extensive variety of medical problems. If you wish to plan your Stem Cell Treatment in India with Dheeraj Bojwani Consultants where you get an instant appointment. Hi, my name is Hasan-Al-Bariz, I am from Kuwait, and I recently had my Stem cell treatment for Heart in India, which was certainly not less than a second life for me. All thanks to my medical tourism company in India that helps me to consider the treatment with affordable Stem cell treatment cost for Heart in India. I was bogged down with some cardiac issues in me and my doctor was suggesting me to have a surgery but I was not that pleased to get the same due to obvious complications I foresee in my case that made me think of an alternative, which he suggested in the form of stem cell treatment for the heart. I was wondering whether I could get the same in a hospital based in Kuwait. However, the skyrocketing cost in these hospitals was the deterrent factor and then I realized how about trying Stem cell treatment for Heart in India as I have heard a lot about medical tourism in this country. The other reason why I was more interested in the option of medical tourism was after reading one success story of Stem cell treatment for Heart in India, which encouraged me to think on these lines. I then started my research to find out too many such success stories about various healthcare services including Stem cell treatment for Heart in India. I am glad that I had positive Stem cell therapy review for Heart in India to hear. That made me come across a number of medical tourism companies that had similar sort of stories to tell about the global patients from different countries including Kuwait. So, what I did was to choose the best medical tourism company that can offer me the Stem cell treatment cost for Heart in India package. Luckily things settled down as I got the best group to cater me the best solution for it. Stem cell treatment for Heart in India was not less than a boon in terms of results and high-quality reviews I have been getting from others. I soon shared my medical reports to them to get things done right for me. The medical tourism company offered me Stem cell treatment cost for Heart in India package with affordability and the quality seemed intact. This I understood when I had the Stem cell therapy review for Heart in India that came positive for me. It was interesting to see how things started working for me. Luckily, it went smooth as I was able to get the medical visa and along with all the things I required in an alien country like India during my treatment of heart seeking the stem cell treatment. When I reached for my Stem cell treatment for Heart in India, I found things were organized and par at my requirements. I am glad that I made the right decision. As I met the doctor, my nervousness vanished I know I can get the best quality with affordability getting Stem cell treatment cost for Heart in India with inexpensive price. My treatment started and it took a while to get rid of the Heart ailments I had. I have positive Stem cell therapy review for Heart in India seeing the best result I got with my case. I am happy with this outcome. I was kept for a while to monitor my medical conditions and when found stable, I was given the discharge that made me happy and pleasing to return to India. I am thankful to my medical tourism company for offering me affordable Stem cell treatment cost for Heart in India backed with quality. Low-cost benefits stem cell treatment in India can be called a collection of techniques that are intended to replace the damaged cells due to any ailment and fail to function in the right ways. Even though the methods are relatively new as compared to the traditional methods, their applications are known to offer a wide range of benefits that offer a wide range of surprising results. This is why it is called a miracle in many ways. The stem cells are often extracted from the bone marrow or the human umbilical cord. These are also called as the basic or fundamental cells found in our body and thus have the potential to develop into different types of tissue cells found in our body. These can have the right capacity to renew and proliferate themselves in an indefinite fashion and hence mature the muscle cells, blood cells and nerve cells. In this kind of therapy, these are derived from the human body and thus kept under different conditions wherein they tend to be mature in any kind of cells, which are needed to recover from the ailment. Stem cells treatment in Delhi, India has the astounding capacity to change into any tissue or organ in your body. It is because of this one of a kind trademark that they can possibly treat more than 80 dangerous ailments, and give various advantages to the infant, its kin and the family. The stem cell treatment in Mumbai, India not all are considered to be the candidate for the surgery. Well, the fact of the matter the people who are suffering from different illnesses, it can be easily fixed with this procedure, which is also called the multifarious procedure. This procedure is considered to have several risks and the complications involved are also considered to check the same. The Stem Cell treatment in India is often recommended to the people who have tried all the other forms of treatment options and are unable to find positive results. One of the best candidates for Stem cell Treatment in India are the people who are known to have a good health and are known to have stem cells available from a sibling, or any family member. In this way, stem cell treatment can be called as the best option to try for the global patients as it can help in fixing a wide range of health issues. If you are diagnosed with any medical condition, which would need a surgery. Till very recently one can find traditional surgical options, which comprises of surgeries carried out using big size open incision or the laparoscopy, which simply employs small size incisions but is often limited to simple kind of procedures. However, thanks to several breakthroughs found in the surgical systems, more and more global patients are getting medical solutions with higher accuracy and precision. With the robotic surgery in India, the surgeons offer the surgery with minimally invasive surgical options. So, even if you have any major surgery to perform with even the best of the accuracy, the surgery can be carried out with less amount of pain and other benefits, which include faster recovery and shorter hospital stay and return to usual activities. Why Robotic surgery in India? When it comes to Robotic surgery in India, there are several benefits that can invite global patients far and wide. Some of the key reasons include getting high-quality robotic surgery in India with affordable cost. There are so many hospitals and clinics that remain at the top having the best of the facilities governed by state of art technology. These hospitals and clinics are known to have the best doctors and medical team who are highly skilled and experienced in many ways. Indian hospitals with these features have been attracting the global patients far and wide and the cost goes so less when compared to the developed nations like the US and the UK that even people from these countries do also visit for a wide range of healthcare services including the robotic surgery in India. Before we discuss about the Stem Cell Treatment Cost in India we need to know about this therapy first. This is treatment option seeking the help of stem cells found in our body. This medical science has been into the practice since long and thousands of years, however, in the modern times, it has developed a lot thanks to the number of inventions and research work that has shaped it up in a big way. The therapy is carried out for preventing the stem cells in the same group, while it is primarily carried out for preventing and treating the health conditions. Of late, the Stem Cell Treatment in India has become popular in the country for a number of benefits, which attract global patients all across the world. The stem cells can be called as a kind of cells, which are developed into various types of cells. The stem cells can help in renewing themselves with the help of dividing and making even the inactive ones that has remained in this state from long. When we see the stem cell dividing the new cells, these could either turn up stem cells or specific cells like brain cell or blood cell or even a muscle. The stem cells are even called as the undifferentiated cell as it has the tendency of becoming another type of cell. On the contrary, the blood cells for instance can be called differentiated cell simply due to the any particular type of cell. • Totipotent stem cells- These remain singling out over the embryonic and extra-embryonic cell types; while these can even construct a complete organism. • Pluripotent stem cells- These are called as the descendants of the stem cells; which can be differentiated in different types of cells that remained derived from any of the three different germ layers. • Multipotent stem cells – These cells are differentiated into a smaller and close number of the group of cells. • Unipotent cells – These help in producing the different types of cell the remains self-renewing. When it comes to the benefits attached to this treatment option there are many. In fact you get more benefits rather than getting affordable Stem Cell Treatment Cost in India. The stem cells have the capacity of becoming and converting any kind of cell, which is an important feature of these cells that help in taking back the right shape and thus fixing a wide range of medical ailments. The fact of the matter is one can find a wide range of medical ailments that can be easily fixed seeking the help of stem cell treatment in India. Getting Stem Cell Treatment in India has become simple as we have the presence of competent medical tourism companies like Dheeraj Bojwani Group. The group is known to help the global patients in many ways. These include giving them the best doctor for the treatment to getting them treated at the best of the medical centers or hospitals that are known to offer one of the best results. It offers the most affordable Stem Cell Treatment Cost in India packages for the global patients, which is one of the reasons of becoming popular in the domain of the global patients. The spinal cord is the main pathway connecting the brain to the peripheral nervous system. It is usually a sudden, traumatic blow to the spine that leaves the vertebrae with some injuries like a fracture or dislocated vertebrae. These injuries could be temporary or permanent. Spinal fusion surgery is basically performed to fix the painful vertebral segment. Despite achieving a successful fusion, there is a risk of clinical failure. Each of the spinal fusion surgery needs bone grafting. It could be autograft or allograft. There are multiple approaches that can be used by your physician. Different types of spinal fusion surgeries: There are multiple approaches that can be used by your physician. Spinal Fusion Surgery India is known for its low cost and world-class attending surgeons and coordinating staff. Procedure: Spinal Fusion Surgery India involves using bone graft to cause two vertebral bodies to grow together into one long bone. Bone graft can be taken from the patient’s hip (autograft bone) during the spine fusion surgery, harvested from cadaver bone (allograft bone), or manufactured (synthetic bone graft substitute). Low-Cost Spinal Fusion Surgery India is one of the main endeavors that have made India more accepted as spinal fusion surgery hub. • Adding bone graft to a segment of the spine. • A biological response is set that causes the bone graft to grow between the two vertebral elements to create a bone fusion. • The bone fusion – which results in one fixed bone replacing a mobile joint – stops the motion at that joint segment. Bone Grafting: It is a surgical procedure in which the fractured bone is repaired by replacing the missing bone. Bone has a regeneration ability of its own but given a very little fractured space and some scaffold to do so. Osteoconduction, osteoinduction, osteogenesis is the basic principle that participates in successful bone graft. As the native bone grows it will grow it will generally replace the graft material completely. Cost of spinal fusion surgery in India: Though the surgery cost may differ from city to city in India it is certainly less as compared to developed western countries. Low-cost spinal fusion surgery India ranges from $6,000 to $7,500. However, the same procedures cost up to $30,000-$32,000 in developed nations. As it is already being in focus about the risk related to spine surgeries, so low price tags are not the only quality that patients think about. Highly trained and skilled surgeons, excellent infrastructure, good post-op care for a successful outcome are also the decisive factor that patient aboard look forward to. Since India is amongst the best in the world and the lowest in terms of cost of spinal fusion surgeries, attracted people across the world. The patient is more likely to get a discharge within 2-3 days. Spinal Fusion Surgery Benefits India is the hospital time is very less. The recovery might take 1-4 weeks after being discharged from the hospital. Spine fusion surgery India estimated 1-3 months post-surgery recovery time.